Home / Restaurant Equipment / Commercial Ice Machines / Undercounter Ice Machines / Hoshizaki KM-80BAJ Crescent Cube Ice Maker w/ Storage Bin, Air-Cooled, 17.75" W, 71 lb. Hoshizaki KM-80BAJ Crescent Cube Ice Maker w/ Storage Bin, Air-Cooled, 17.75" W, 71 lb. 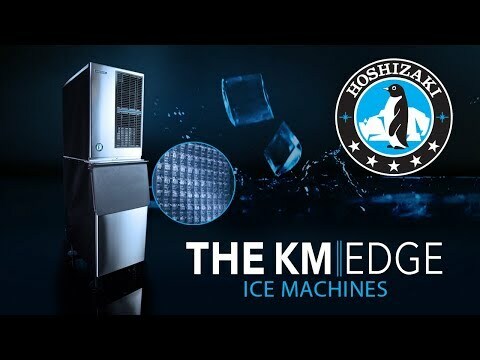 The Hoshizaki KM-80BAJ Crescent Cube Ice Maker is capable of producing approximately 71 pounds of crescent cubed ice and has a built-in ice storage capacity up to 38 pounds. This undercounter unit is deal for small bars, hotel lobbies and office break rooms.